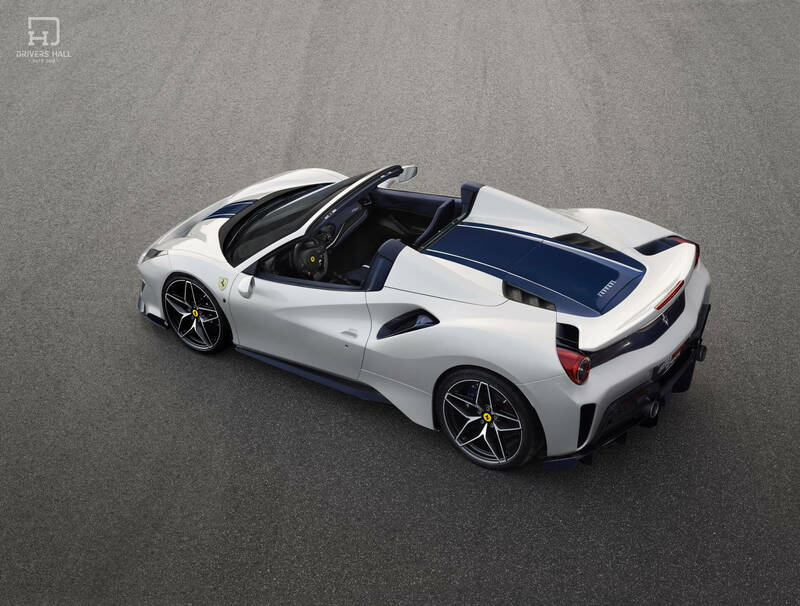 The latest Ferrari Special Series model, the 488 Pista Spider, has been unveiled at the Pebble Beach Concours d’Elegance in California. The new car sets a new benchmark for Ferrari for spider performance with an unprecedented weight-power ratio of 1.92 kg/horsepower. A result made possible by the adoption of the most powerful Ferrari V8 engine ever, which was recently named Best Engine in the world for the third consecutive year at the 2018 International Engine of the Year Awards. The 3902 cc twin-turbo V8 unleashes 720 hp. The unique engine sound is now even more riveting thanks to the open-top configuration. In terms of engineering, the Ferrari 488 Pista Spider is directly derived from the 488 Pista which encapsulates all the racing experience gathered on world’s circuits with the 488 Challenge and the 488 GTE. As a result, the new Spider offers the highest level yet of technological transfer from the track to a road-legal drop-top car. The new Ferrari weighs only 1380 kg, accelerates from 0 to 100 km/h in 2.85 s, and completes the 0-200 km/h sprint in 8 s. Its top speed is 340 km/h. Goodwood Dates Announced for 2019!